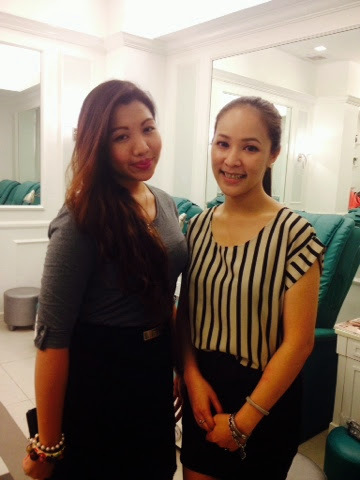 Pampering Time at Tips N' Toes | Vanity and Everything in Between. 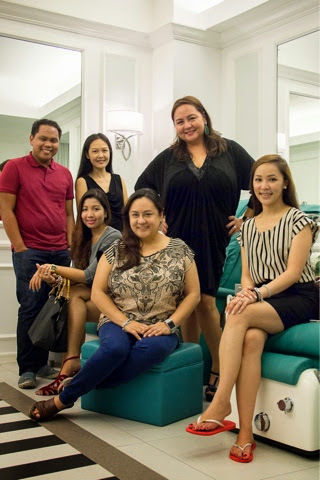 A few weeks ago, I was invited by Dang to the opening of Tips N' Toes Blue Bay branch. I confirmed my attendance as I love Tips N' Toes. You see, I like acrylic nails. It was something very common back in high school. When I moved back here, I had a hard time looking for a nail salon that offer acrylic nail service but Tips N' Toes has it. So, yes, they had me at acrylic nails. Something came up though that the venue was moved to Glorietta 5 branch which was better and easier for me as I no longer have to drive. When I got there, I actually had not decided yet what service I'll try. But I left Tips N' Toes super happy with my nails. Well, you're just about to find out! That seat right there is something magical! Think LaZ Boy but for nail spa! My feet and legs waiting to get pampered! The bottom part of the chair opens to reveal why seems like a sink. If is automatically filled with warm water and automatically drains, too. This is genius. I've never seen this at other nail salons! Their nail technicians are very friendly! Well, basing from the pictures, you could already probably tell that I didn't get acrylic nails. I tried gel nail polish this time and I do not regret it at all! My nails looks so pretty I couldn't stop staring at it. The nail technicians were also telling me that I will really like gel nail polish because it doesn't chip and it maintains its shine for as long as it's in your nails. It also dries fast as in really fast! It's all true! Now, I really understand the hype about gel nail polishes! They also used gel nail polish on my toes. Love it! We were also given this loot! Thank you Tips N' Toes! I love China Glaze!! Tips N' Toes has been around for 20 years. 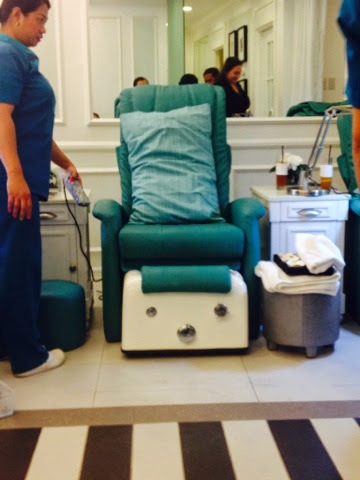 Ms. Jenny thought that if like getting facial service for their face so why not do the same for the hands and feet? Then Tips N' Toes was born. 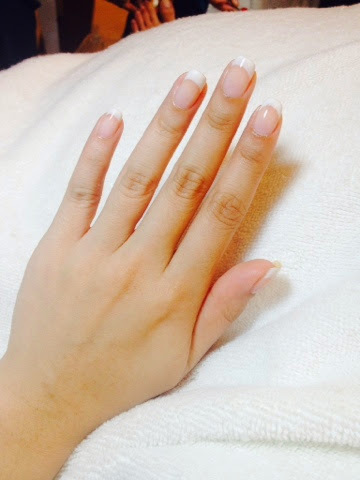 They also have several nail technicians who have been with them for 19-20 years. That's saying at a lot. It means that they are great employers. Another thing that I like Tips N' Toes is the colour they have chosen for the brand. It's not the usual pink and purple combination but rather a Tiffany Blue shade (or at least that's what I think it is, shade reminds me of Tiffany & Co.). 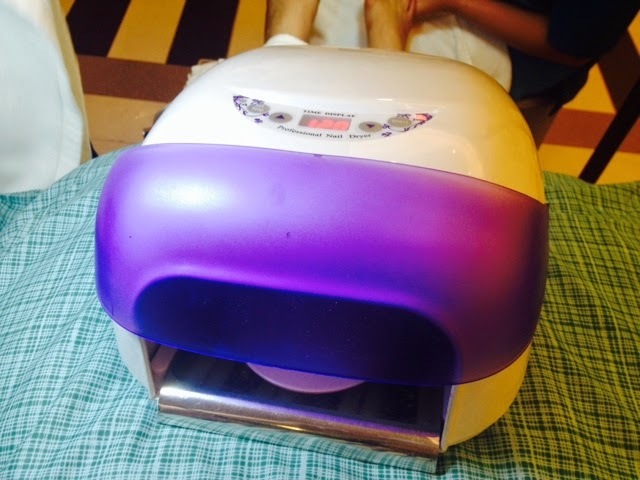 It's not gender bias so even males can have their own pampering time at Tips N' Toes without feeling conscious and awkward! The event was very casual it didn't feel like an event. 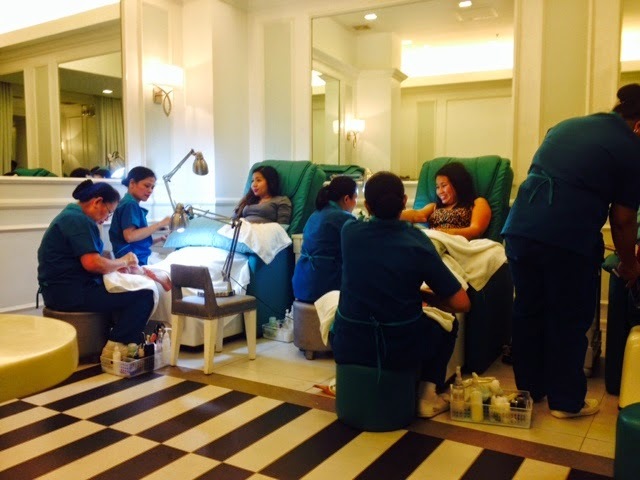 It felt like ladies sharing stories at a nail spa. We talked about almost everything under the sun. And oh my, this is another thing that makes me giggle until now - Margaret and Jenny love Harry Potter! That is so amazing! One of the reasons that made my night! When our nails are finally dried, we headed to Yabu to have dinner and continue our chit chat. 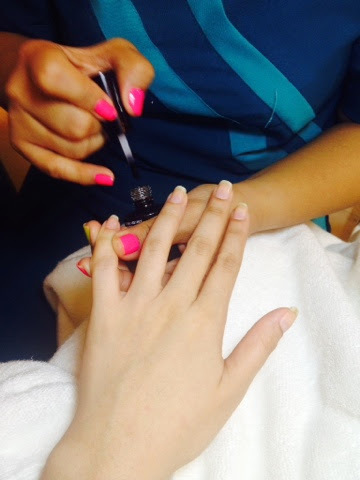 Oh, by the way, the services I had were manicure and pedicure including massage for hands and feet. I can't recall the exact name but if you do visit Tips N' Toes, you can just describe the service and they would know for sure! My gel nail polish is now on its 3rd week and my nails still look okay. If you look closely, you can see my nails that have grown longer but they pretty much still look the same from the photos above. 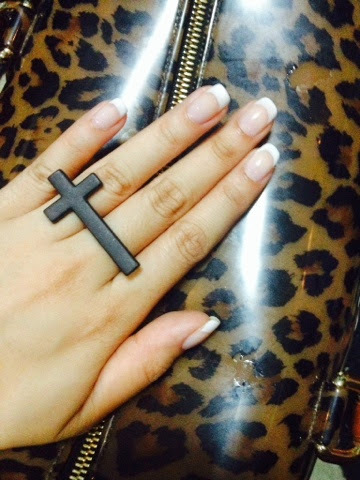 I will definitely go back to Tips N' Toes for another gel nail polish session! I'm hooked and I'm not even sure if I'll appreciate the usual nail polish again. You can check Tip N' Toes website to know more about their services. 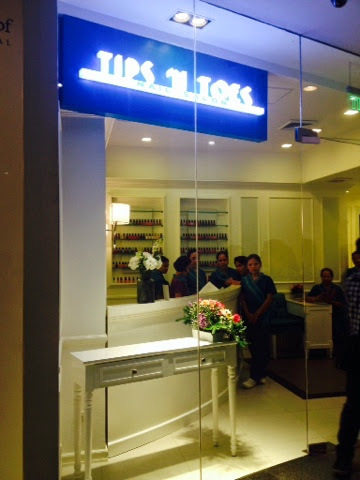 Tips N' Toes Glorietta branch is on the 2nd Floor of Glorietta 5.